Arthur Rasco directed the extraordinary documentary “Facing Darkness,” about the efforts of the humanitarian group Samaritan’s Purse and their fight against Ebola, one that became very personal when their own doctor and nurse, Kent Brantly and Nancy Writebol, became infected. It was an honor to speak to Mr. Rasco about the film. When did you start filming? It seems like you were there right from the beginning. Samaritan’s Purse has been covering the Ebola epidemic since 2014. We have people on the ground in Liberia and some of those folks had cameras and were filming. The Deputy Country Director, Joni Byker, was filming, trying to get some clips and we were trying to get a video team off the ground to go but then late July happened and Dr. Kent Brantly was diagnosed with Ebola. And then so that changed things dramatically and then all of a sudden that threw all of us into a tailspin so it was all hands on deck to try and take care of Kent and Nancy Writebol. So we filmed bits and pieces along the way as we could, their arrivals at Emory, and then we did send our crews back in late October 2014. Once we re-engaged and sent supplies to the airlift with two 747s loaded with supplies, we sent a video crew. And then we were green lit to do the documentary in about April 2015, so that’s when we really begun in earnest putting together the film. The film will be in theaters on March 30, 2017. How did you shape your production schedule and your approach as the story developed? We had a great team that was involved in putting the film together. I’m just one piece among a great team of people here at Samaritan’s Purse and so we documented quite a bit of the stories of several people that had been involved. Some of the people like Bev and Kendell Kauffeldt and Dr. Lance Plyler we debriefed and recorded those interviews. So we had an idea of how we wanted to shape the story and then you go and you go there on the ground and then you also start meeting people like the nationals, the Liberians who had such amazing stories that we were able to work into the film. We talked to people like Joseph Gbembo who lost 17 family members. We knew that he had lost quite a few and when we were interviewing him and then he says in the film, “When I look at the kids, the nieces and nephews, the children of those family members that passed away that gives me hope.” Okay, how many are we talking about? And then he says, “16.” And that moment was just so real and so we put that into the film just as it was because it was just such a dramatic earth shattering moment for all of us. We didn’t quite know that aspect of the story and so that was just amazing. Meeting people like Barbara Bono, who was a Liberian Ebola survivor and having her tell the story was just so powerful. Filming many interviews with everybody, I am crying and all of us are just in tears as we’re hearing the stories of what she went through and what she was afraid of during the time. How do you maintain the distance that you need in order to make the film and yet to reach out to them as a human to get them to open up the way they do? Well, I don’t know if I’m too good at keeping distance. I really enjoy and I want to engage with the folks, with people because their stories are just so amazing, they have been through some things that I am just trying to reflect, I’m just trying to share. I wasn’t able to be on the ground in 2014 when all of this happened and yet you know that these folks have been through something pretty earth shattering and so you want to respect that and you want to be able to let them tell their story openly and honestly. And so I laughed at when they laughed, I cried when they cried. I’m just trying to have them tell their story. In America people went a little crazy on the subject of Ebola and didn’t listen to what the experts and the scientists had to say about the threat that it posed. How did that complicate things to bring back Kent to the US in the midst of all of that fear? What do you want people to learn from the film? Our hope is that this is a story that will inspire young people, inspire a new generation of missionaries to set out in bold faith and go out to the mission field, to go out and serve, and serve in the name of Christ and putting their life on the line if that’s what they are called to because that’s where the need is. The need is out there and you can go out, you can make a difference. And that’s what the movie is about right? It’s letting compassion fuel a courage that will conquer fear and so that’s what we want to be able to do to encourage, to inspire a new generation of missionaries to head out there. I hope that people will feel challenged after watching this movie. It turns out that there is something even more painful than the most devastating loss imaginable. 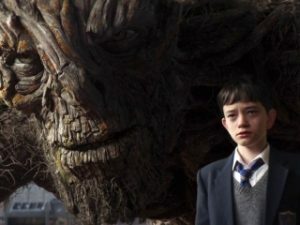 That is the lesson of “A Monster Calls,” based on the Carnegie Medal and the Greenaway Medal award winning book by Patrick Ness, illustrated by Jim Kay, from an idea by the late human rights activist Siobhan Dowd. It takes place in the Irish countryside. “We begin,” the movie tells us, “like so many stories, with a boy too old to be a kid and too young to be a man and a nightmare.” The boy is Conor (Lewis MacDougall), whose adored single mother (Felicity Jones) is struggling with cancer and the ravages of its treatment. While other boys are gently awakened by their parents and sent off to school with a good breakfast and a lovingly packed lunch, it is Conor who makes breakfast for his mother (there are rows of medicine bottles in the kitchen cupboard). He also does the laundry before he goes to school, where a bully threatens him. He has a frosty grandmother (Sigourney Weaver) and an affectionate but useless father (Toby Kebbell). So, he is alone with his grief, his fear, his anger, and his paints, which he must learn to use to express them all. A teacher says sympathetically, “If you ever want to talk…” Conor’s dad arrives from America, where he lives with his new wife and new baby, and he takes Conor to an amusement park. But Conor does not want to talk and he is not amused. A glimpse of the old “King Kong,” Fear and Fury bookends, and a shiver-inducing creaking noise give us a hint that a terrifying, destructive monster may be coming. And then, yes, Conor is visited by a monster, an enormous walking yew tree with the rumbling voice of Liam Neeson. Conor may think the monster is there to protect him, but that is not exactly true. He says he is there to tell Conor three stories, and then, he says, Conor must tell him one and it must be true. The monster’s stories have a yew tree connection, as does a possible new treatment for Conor’s mother. They begin like traditional fairy tales but do not pretend that the resolutions are fair or straightforward. The fury within the stories seems to take over Conor and he finds himself becoming violent before telling his story forces him to admit what terrifies him even more than the prospect of losing his mother. This is a complex, richly imagined film with a deep understanding, clear-eyed but compassionate. The stories it contains help us to be honest about our own. Parents should know that this film is about a boy whose mother is dying of cancer. There are some other disturbing images and situations, including a bully and a monster. Family discussion: Which story surprised you the most and why? Why was it important for Conor to tell his story? What monsters live inside us? It’s all about the eyebrows. Emilia Clarke (“Game of Thrones”) has gamine-like “natural” eyebrows ideal for expressing wonder, hurt feelings, and enthusiasm, and Sam Claflin (“Hunger Games”) has circumflex-like eyebrows ideal for expressing skepticism, irony, and stoicism. 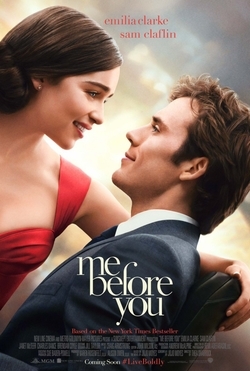 All four eyebrows get an extensive workout in “Me Before You,” based on the international best-seller by JoJo Moyes about Louisa Clark (Clarke), a high-spirited, warm-hearted pixie of a girl, just laid off from her job behind the counter at a bakery, and Will Traynor (Claflin), a once-energetic, once-successful finance type from a wealthy family who is now paralyzed below the shoulders following an accident. Lou is hired by Will’s mother (the redoubtable Janet McTeer) as a “companion” for Will, a position that only exists in novels about warm-hearted young women sent to castles with names like Thornhill that have eligible but tortured men waiting to have their hearts warmed. Will has an Aussie aide who handles the icky physical stuff (Stephen Peacocke), so Lou is there to bring cheer to Will, who has no intention of being cheered. And did I mention he lives in a literal castle? Lou’s family depends on her for money, because her father has been laid off (due, as we will find, to the financial engineering of Will’s one-time protege). And so she accepts the job with no real understanding of caring for a severely disabled person and stays in it even when he refuses to speak to her or to accept her many offers of a cup of tea. Ultimately, through a combination of ennui, frustration, and the impossibility of resisting the charm of Lou’s kindergarten teacher meets Lisa Frank and Hello Kitty-style attire, Will begins to thaw a little. The immense pressure of what he has lost inspires him to want more for her than she wants for herself, and he feels impelled to show her that, even with a castle in its midst, her little town cannot be enough for all she should want from life. Did I mention that his name is Traynor? This is not a movie that leaves anything to the imagination. Just in case you were not sure of that, Lou’s boyfriend Patrick (one-time Neville Longbottom Matthew Lewis) is Will’s polar opposite, a fitness instructor and “motivational coach” who thinks a few more reps can solve any problem. And just in case that isn’t enough, there’s a brief encounter with the divine Joanna Lumley to spell it all out for Louisa and for us as well. Okay, so no surprises here, especially if you’ve read the book. Bring a handkerchief, maybe two. But Clarke and Claflin have palpable chemistry, and we are no more able to resist Lou than Will is. As she takes him back out into the world, she thinks it is for him, but he knows it is for her, and we find that the real hero of the story is Will’s, well, will. SPOILER ALERT: Some groups have raised concerns about the film’s portrayal/advocacy of assisted death, adapting the movie’s #liveboldly tagline to urge movies to portray disabled people who are active and engaged. Parents should know that this film includes non-explicit sexual references and situation, mild language, severe injury and discussion of assisted death. Family discussion: Should Will have changed his mind? 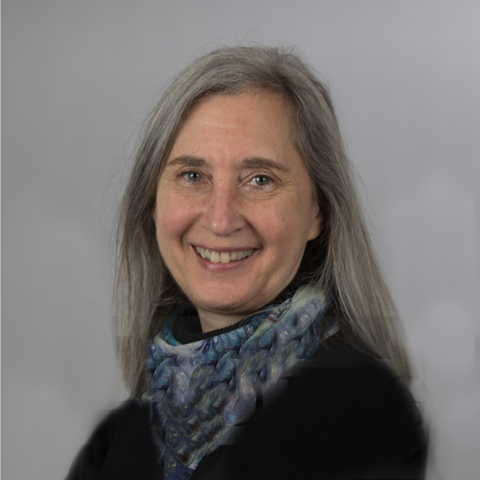 What will Louisa do next? Previous PostPrevious Do Babies Learn to Swipe Before They Learn to Talk? 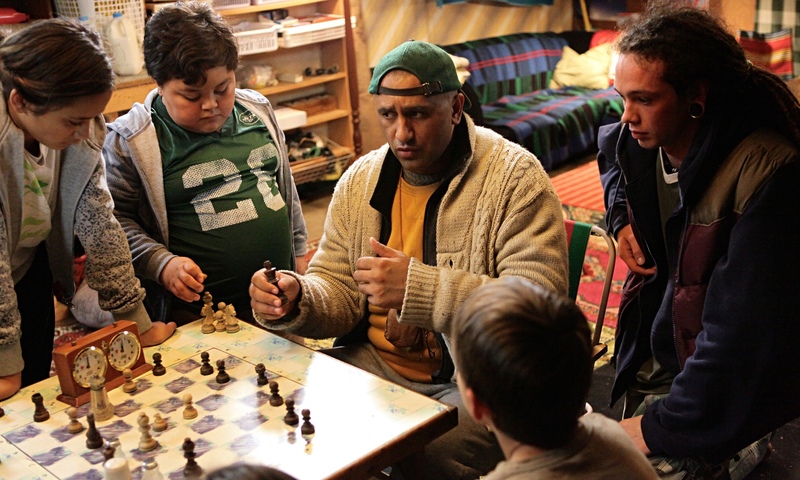 It would be so easy — and so wrong — to make this true story of a Maori chess champion who struggles with mental illness as he teaches underprivileged kids into a safe, simple, saccharine, uplifting story. But writer/director James Napier Robertson, who himself played hundreds of chess games with real-life speed chess champion Genesis Potini, trusts his story and his audience enough to give us a film that is refreshingly messy, even grungy, and therefore much more powerful. The extraordinary actor Cliff Curtis is renowned for being able to play almost any ethnicity, one reason he was an affecting Jesus in the recent Risen. Here, though, as in “Whale Rider,” he has a chance to play the part of a person of his own ethnic heritage, the speed chess champion Genesis Potini, who had bipolar disorder. Curtis shows us that Genesis is a person first, not a group of symptoms. In a meet, wanting so much for the kids he has trained to have a chance to succeed, he cannot restrain himself from shouting encouragement, and we see how painful it is for him to feel like two people at once, the one who cannot control his impulses and the one who understands what he is putting at risk. Robertson also gives us an honest, unflinching look at the community where Genesis has come, after being released from the mental hospital with a fistful of pills and the direction to find something to care about. The only place he has to go is the home of his brother, Ariki (Wayne Hapi), and Ariki’s son, Mana (James Rolleston of “Boy”). Ariki is a member of a gang that hangs out, gets high, commits petty and not so petty crimes, and spends a lot of time in not so petty macho posturing. He does not like having Genesis there and soon kicks him out. Genesis sees a flier for a program that provides enrichment services for needy kids and decides that this will be the purpose that will help him maintain equilibrium. He volunteers — waking the director up in the middle of the night to offer his services, and against his better judgment, the director accepts, warning Genesis that if he shows up, he cannot let the kids down. Genesis impulsively (he does everything impulsively) tells kids who have never seen a chess game before that they will be competing at a big tournament in six weeks. Before they learn how to play, he lets each of them pick a chess man to take home as a totem, and to bring with them every day so that the set can be a team again. It makes them into a team as well. He uses the money Ariki gave him for rent to buy chess sets for the kids and he sleeps outside. Genesis’ splintered reality and lack of impulse control may be advantages for speed chess. All of the possibilities are laid out before him but that does not make him hesitate. But chess is a game of rules and it provides a certainty, order, and mastery that Genesis and the kids he teaches can hold onto and build on. Mana has to decide whether he will follow his father or his uncle. Genesis has to try to be the man Mana and the kids need. It might get corny but for Robertson’s unaffectedly gritty settings and understanding that modest gains can be enough for checkmate. Parents should know that this movie includes violence, child abuse, drinking, drugs, mental illness, and extreme poverty. Characters use very strong language. Family discussion: Why was helping the children so important to Genesis? Why was having Mana in the gang so important to his father?